UofM Engagement Session. 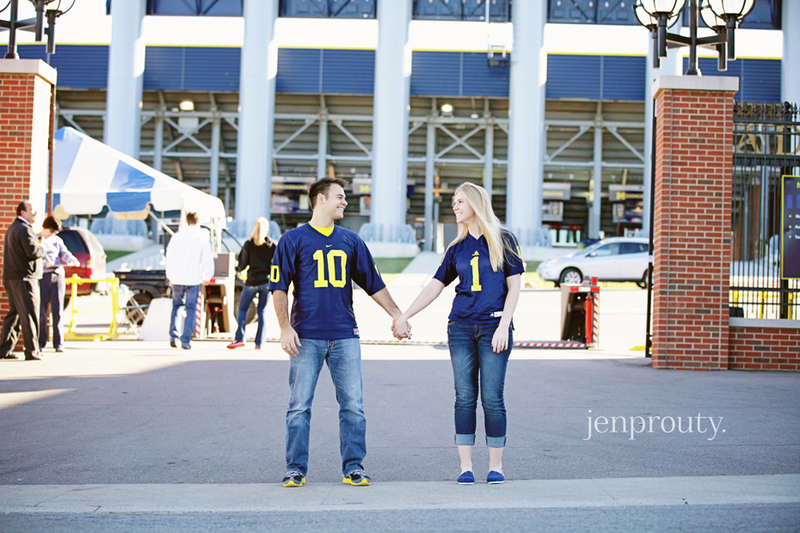 Love at the Big House. Ann Arbor, Michigan. Meet Lauren and Brian. 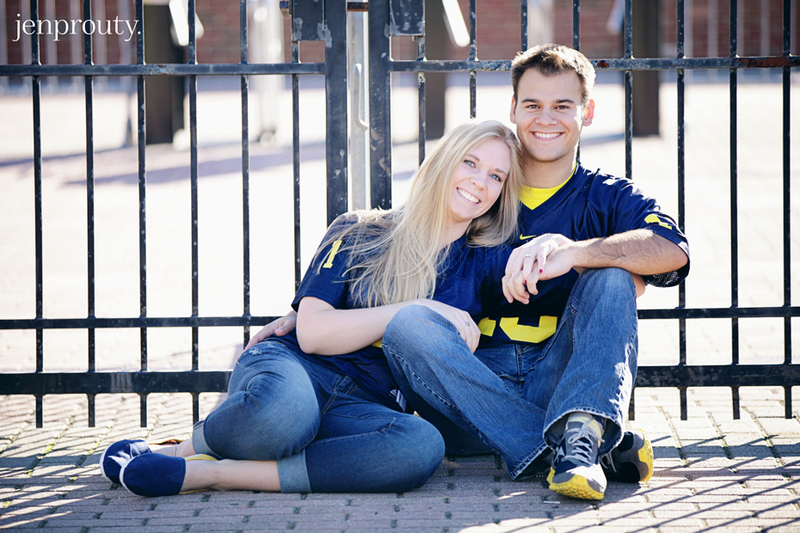 Quite possibly 2 of the cutest Michigan fans ever! 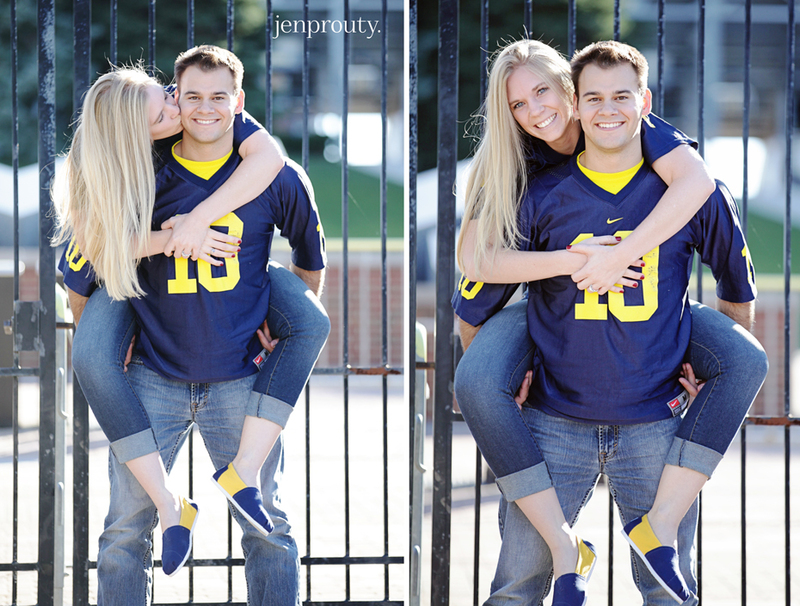 They met at the University of Michigan and fell in love. After moving to Texas and getting engaged they knew they had to come back to A2 for their engagement session. So glad they chose me as their photographer and SO GLAD the weather cooperated yesterday for their session. (Rescheduling is not really an option when you fly in from Texas for the weekend!!) Hopefully the weather will be just as nice for the game today. GO BLUE! !